Craft beer as a category provides such an interesting microcosm of design thinking. Whereas traditional beers have consistently appealed to heritage and seriousness in their design (mostly) craft beer, as an upstart going up against ‘Big Beer’, has always had the space to be more playful and experimental – not only with flavours and beer types but also with design. We’ve shared a number of craft beer package designs on the blog as they provide such a great snapshot of where design is right now. Whether it’s heavily illustrated and incredibly intricate, simplified and modern or just wacky – there is a space for it in the craft beer design category. This entry was posted in Design, Uncategorized and tagged Design, Loch Ness Brewery, Thirst Design on April 29, 2016 by stellenboschacademy. What a fun idea for Record Store Day by JWT London! A number of different posters were printed and handed out to local businesses in Soho. These businesses could choose a poster that best represented their product offering, and put one up in their window to show support for Record Store Day and direct people to their closest record store. What is really smart though is how JWT managed to find interesting images and illustrations that apply both to the business themselves as well as Record Store Day, by finding things that look like records. From sweets, to a fat man trying to tie his belt – there are a number of ways records have been brought into these posters. If we consider the disciplines we teach at The Academy, this campaign is such a perfect example of how art direction, design and illustration can work together within a single campaign to bring it home and really make something striking. So let’s get out there and buy some records! This entry was posted in Art Direction, Design, Illustration and tagged Art Direction, Design, Illustration, Record Store Day on April 27, 2016 by stellenboschacademy. This series of executions for Alcoholics Anonymous by Ogilvy and Mather Auckland tell a really meaningful story through a great concept and perfect consideration of illustration to bring the art direction to life. With the payoff line ‘Get Back’, these executions show how drinking and alcoholism can get in the way of the important things in your life. What truly sets these apart though, is the consideration paid to the art direction. Rather than using photography or colourful illustration, these ads use soft watercolours to bring the illustration to life and add a sense of drama and sadness to the executions that could not have been conveyed otherwise. This shows a great understanding of art direction by the Art Director, who would have most probably commissioned an illustrator to bring their vision to life. People often ask how art direction can make a difference, and these are a perfect example. This entry was posted in Art Direction, Illustration and tagged Alcoholics Anonymous, Art Direction, Illustration on April 25, 2016 by stellenboschacademy. We love this work by TWO.AM for Red Bull in South Africa. You need to watch the video below to truly appreciate it, but let us fill you in: holograms, people! We’ve got holograms! This piece of direct communication served as an invite to the teams for the Red Bull Beat Battle (a breakdancing competition held annually in Jo’burg) and by using their phones, the crews who were invited got to see a real life hologram inviting them to the event. This entry was posted in Design, Multimedia and tagged Design, Multimedia, Red Bull Beat Battle on April 22, 2016 by stellenboschacademy. Bernardo Henning is an Argentinian illustrator and artist with a busy, energetic style that we can’t get enough of. We love the mish-mash of colour, objects and illustrations all within a unified whole that presents a larger image or consideration for the design of the entire piece. Henning’s work is such a great example of how illustration and design work together to create something that is much greater than the sum of its parts! More work like this please! This entry was posted in Illustration and tagged Bernardo Henning, Hand drawn, Illustration on April 20, 2016 by stellenboschacademy. Kyle Weeks is an ex-student of the Academy and we are so excited watching his career blossom as he spends time in his home country of Namibia, documenting everything through his lens. We’ve included some of his images here where he shot portraits of palm wine collectors in Namibia to show you what he’s been up to. So well composed and bringing to life the lushness of the palms – beautiful! We also suggest you check out this link here at Atlas, a photography site, where Kyle gave a great interview as to his process and motivations for his work in Namibia. This entry was posted in Academy Work and tagged Academy Alumni, photography, Stellenbosch Academy on April 19, 2016 by stellenboschacademy. Kent Andreasen is a Cape Town based photography who has recently shot an abandoned mining town called Kleinzee for Vice Magazine. What an amazing opportunity to get into a place that was unaccessible to the public for ages and to take some photographs. Check out the photos below, but do click on the link above to check out the full article – there’s a great writeup about the town and what the locals are trying to do to reinvigorate it. 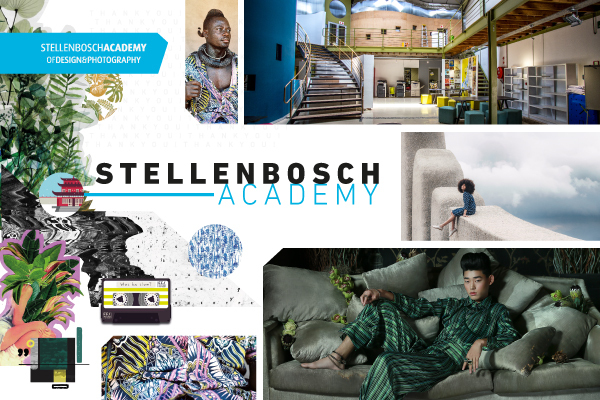 This entry was posted in Photography and tagged Kent Andreasen, Kleinzee, photography on April 18, 2016 by stellenboschacademy.